"We are approaching a sun which is about to become a nova. There are ten planets, with a civilization on the third. It is our tragic mission to contact that doomed race, and if possible save some of its members." 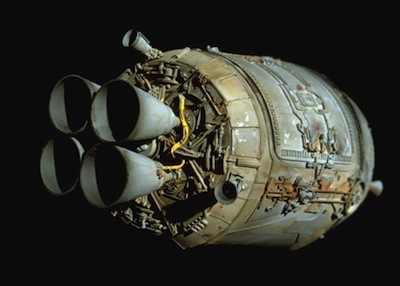 Fans of sci-fi movies of course recall the escape pods from the first Star Wars film in 1976. Scientists and engineers have, of course, also considered this problem. 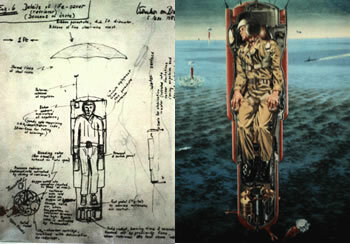 Werner Von Braun pushed the idea of a manned space station in the 1960's; with it he also designed a protective ejection type capsule. A parachute with steel-wire mesh reinforcements and solid rocket booster would break the fall; antenna and radar beacon activate automatically. After the 1986 shuttle Challenger accident, NASA started seriously looking at alternatives for the Space Station. Some proposals even included the use of refurbished Apollo lunar capsules from the 1960's. 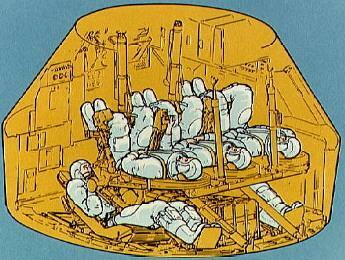 The only completed crew rescue capability ever provided by NASA is the Apollo CSM rescue craft. A kit was created to fit out an Apollo command module with five crew couches; in the event that a Skylab crew ran into trouble, a rescue CSM would be launched to rendezvous with the station. This capability was created partly in response to the sci-fi movie Marooned, released in 1969, starring Gregory Peck, David Janssen and Gene Hackman (among many others). The movie explored what happens when a problem develops in space and astronauts are stranded. 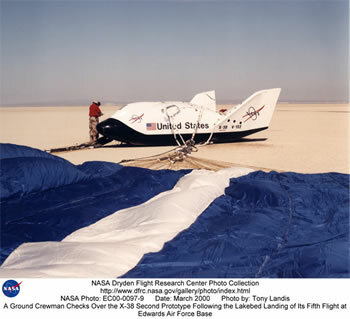 During the last decade, NASA developed the X-38 prototype, which was intended as an emergency vehicle for up to seven crewmembers on the International Space Station. It would have been carried up to the ISS by shuttle, and attached to a docking port. The craft offered a seven hour life support system, a steerable parafoil parachute deployed at 40,000 feet to carry it through to landing. It was intended to have fully automated navigation and control systems. This program has been cancelled.